Nowadays Xiaomi is one of the most popular and trusted band in India. Redmi is a part of Xiaomi brand and Xiaomi is a Chines mobile maker company. Xiaomi is under the top 5 smartphone brand in India 2016-17. Xiaomi is so popular smartphone brand for its best features, long battery life and under budget. So friends if you want to buy a smartphone then you can get this branded any smartphone. If you want to buy under Rs.15k then you get Redmi Note 4(Rs.12,999) is the best smartphone in this price or your budget under Rs.10k then you can get others. 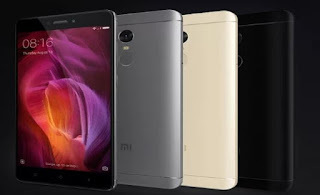 Redmi note 4 is one of the best budget smartphone in this time. It was launched Three variable features & price. Personal Review : I bought Redmi Note 4(Rs.10,999) on its first sell 23rd January, 2017 and this is come to my hand on 28th January(Saturday). So I am using it so many times. I feel happy to buy this mobile. It has amazing features. It is a VoLTE supported handset and I am using a Jio sim without any problem before one month. I used many apps, games but no hang problem. It has very good battery back up like 1 day for heavy used(Calling,Chatting,Watching videos, youTube,JioTv,mp3,Games etc.) ; 2 days for normal used(calling,chatting, some browsing etc.). Sometimes it was falling in my hand and put down floor & road but nothing happened. I am using only a plastic back cover for good grabbing.